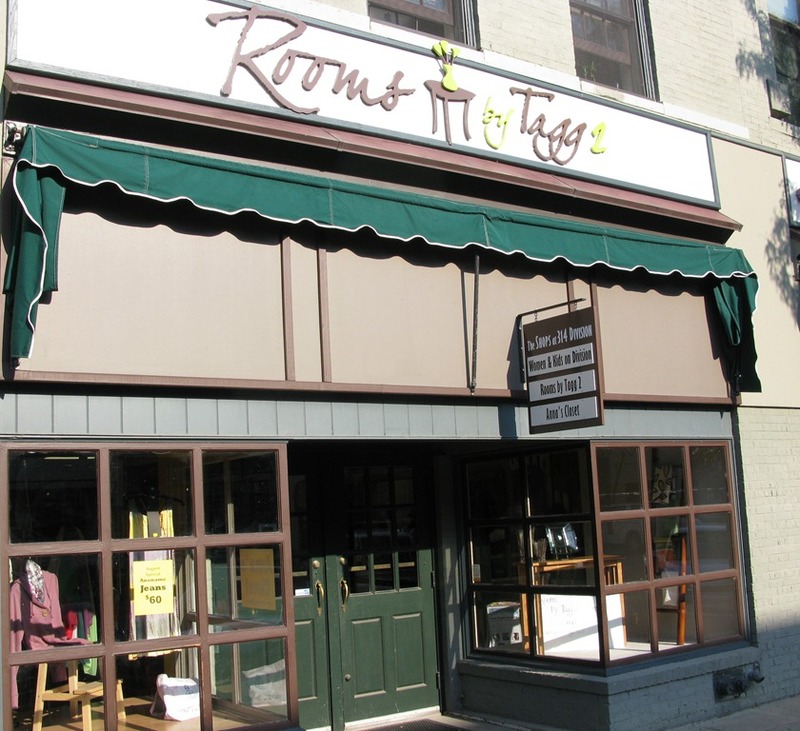 Robbie and I paid a visit to Rooms by Tagg 2 on Saturday, now open in their new space at the front of the Perman Building in downtown Northfield. 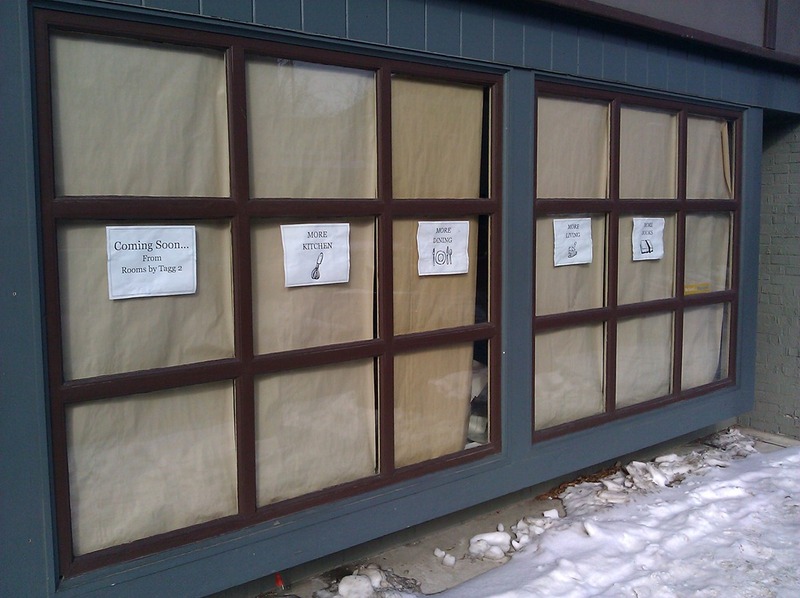 I walked by the Perman Building this morning and noticed that the old storefront window for Women and Kids on Division is soon to be the new home of Rooms by Tagg 2, which had been in the back. I blogged about their opening in the fall of 2009. 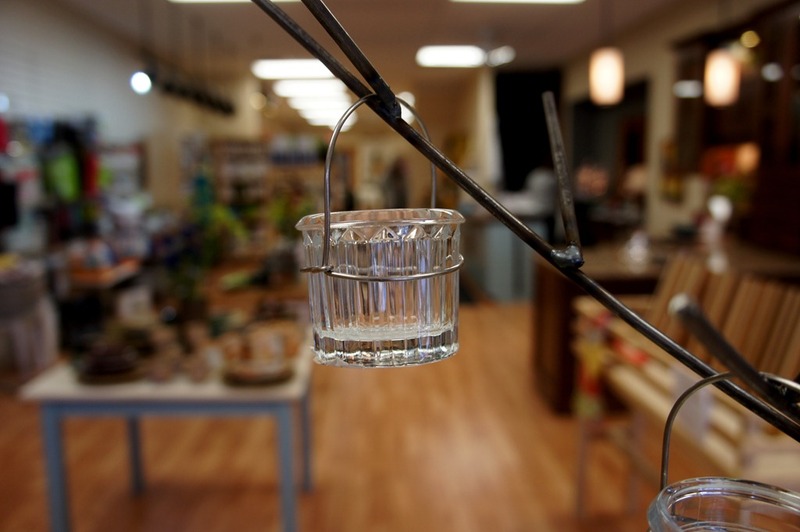 I must say, it’s good to be able to blog about a retail business that’s not closing. Nice to see, too, that they now have a website, not just a Facebook page. Kudos to Suzy and Steve Taggart. 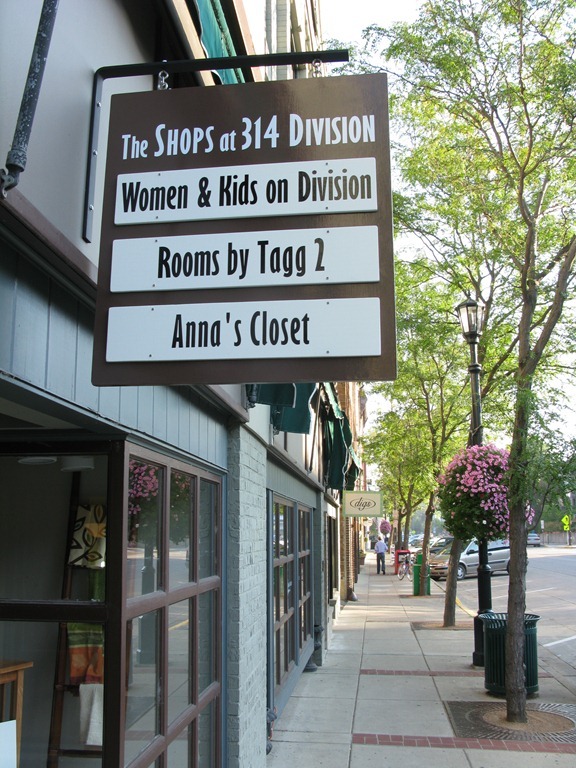 As the new outdoor sign (center photo – “The shops at 314 Division”) indicates, Women & Kids on Division and Anna’s Closet have company in the Perman Building in downtown Northfield. 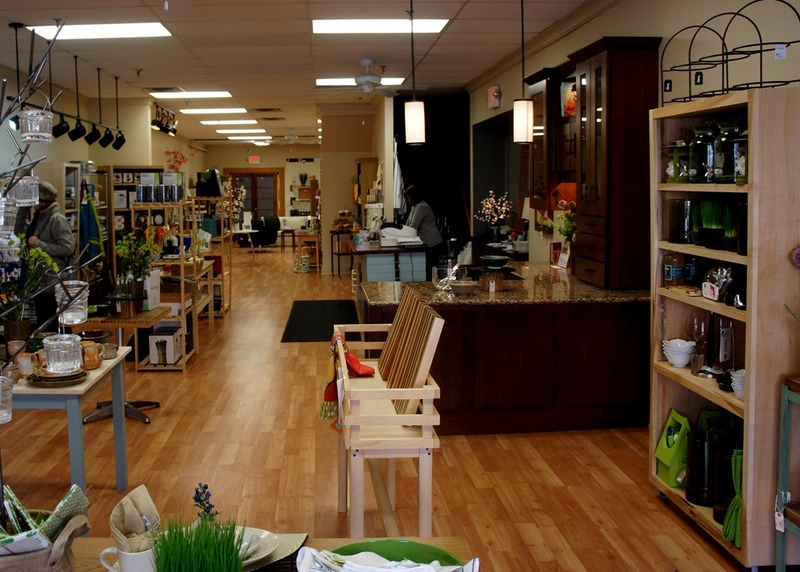 Steve and Suzy Taggart are opening Rooms by Tagg 2 (that links to their Facebook page), a furniture and home decor store there that offers Shiply services to move the furniture and other products. And on Thursday Sept. 10, they open for preview week, starting at 9:30 am. 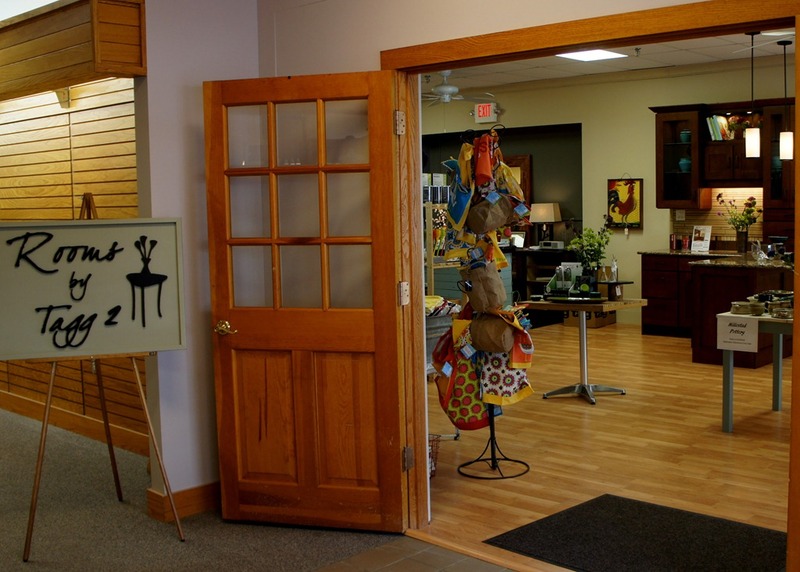 For more, see the Aug. 25 Nfld News article, Home decor store opens in family building. 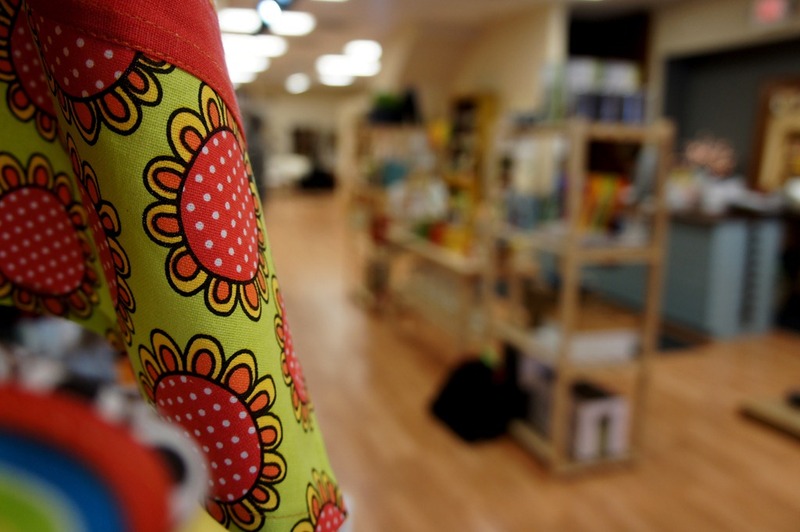 In 1937, Suzy’s great-grandparents, Martin and Mathilda Perman, purchased the building and opened Perman’s Family Apparel, eventually handing the store over to their son, Orval. 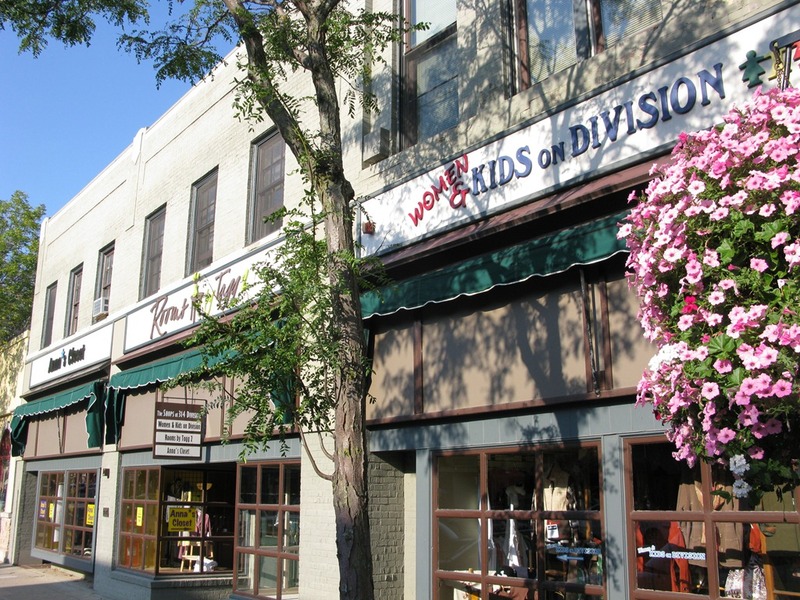 In 1993, the store closed, but five months later Suzy’s mother opened Kids on Division, a children’s clothing shop, in the same building. Eventually, her mother sold the business, paving the way for Suzy to open her own retail store in the family-owned building.